Johannesburg, June 30 2014 — After a three-year long struggle, Doctors Without Borders (MSF) has received approval from the South African Medicines Control Council (MCC) to import a dramatically more affordable version of an antibiotic, linezolid, in order to expand access to the medicine and provide better treatment options to patients with drug-resistant tuberculosis (DR-TB) in Khayelitsha, Western Cape. MSF has been using linezolid in individualised drug regimens to treat patients with DR-TB in Khayelitsha since 2011, by purchasing the drug at the private sector price of over R700 (~US$65) per 600mg tablet. 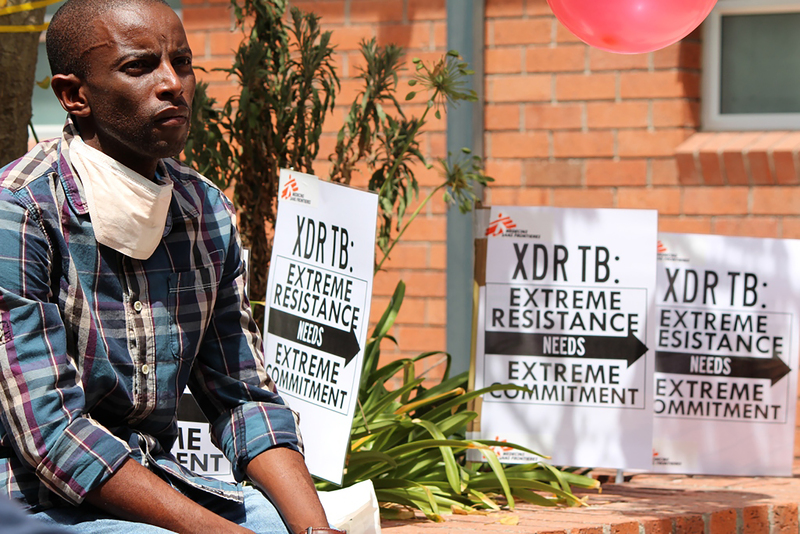 Linezolid is only one drug in an already expensive regimen for extensively drug-resistant TB (XDR-TB), and the cost of the drug during up to two years of treatment can exceed R520,000 (~US$49,000) per patient. “The high price of the brand name product was consuming up to 10% of the entire annual budget for MSF’s HIV and TB project operations in Khayelitsha, which limited the number of patients to whom we could offer linezolid,” says MSF’s TB Doctor, Jennifer Hughes. With the MCC approval, MSF can now import the first quality assured generic version—that has been approved by the UK regulatory authorities—at a purchase price of US$8 per tablet (~R85). This is an 88% price reduction on the brand name private sector price. While this generic linezolid is not yet registered in South Africa, MSF is now allowed to import the product after applying for permission from the MCC under section 21 of the Medicines and Related Substances Control Act 101 of 19651. “Linezolid was the drug that helped me beat XDR-TB,” says Phumeza Tisile, the first DR-TB patient offered a linezolid-containing regimen by MSF in Khayelitsha, who was cured in 2013. “But others did not have access to linezolid, and didn’t survive. We need promising drugs like linezolid widely available at affordable prices to give more patients a better chance at a cure, because the treatments for DR-TB we have are so terrible, and don’t always work,” Tisile says. “Obtaining approval for MSF to use a generic linezolid is an important first step toward guaranteeing broader access to the drug for DR-TB patients across South Africa,” Dr Hughes explains. “Other health care providers, including the National Department of Health, could take similar action to MSF. This would allow them to overcome budgetary constraints, and offer linezolid to more DR-TB patients, in accordance with national treatment guidelines and protocols,” she says. While this version of generic linezolid will only be available to MSF patients in Khayelitsha, the MCC is currently reviewing generic linezolid for registration in South Africa—including the same product MSF will be using. Full registration by the MCC of a quality assured generic linezolid would allow a more affordable version of the drug to be procured nationally for provision to DR-TB patients through the public sector. MSF is hopeful that the MCC will make such registration a top priority. The precedent set by this MCC decision comes at the same time as South Africa’s Department of Trade and Industry has been leading a six-year process to amend the country’s intellectual property (IP) laws. “Reforms to South Africa’s IP laws would help control medicine costs by preventing abusive patent monopolies, but a national policy has yet to be finalised or implemented. 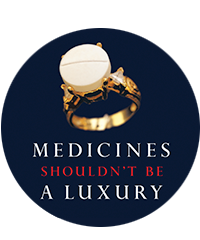 MSF urges rapid finalisation of a national IP policy that promotes access to affordable medicines, so lengthy battles like the one for generic linezolid will not repeat for other lifesaving drugs,” says Julia Hill, MSF Access Advocacy Officer. 1Section 21 of the Medicines and Related Substances Control Act 101 of 1965 states that the “[Medicines Control] Council may authorize sale of unregistered medicine for certain purposes.” This authorization is given for a specified period of time, and for use, purpose and duration as determined by the council.